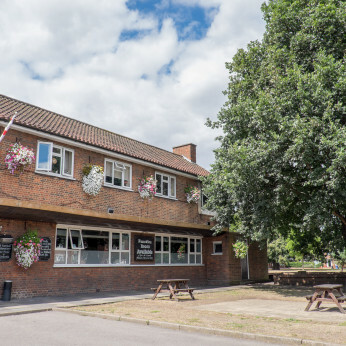 A traditional and local pub sitting on the edge of Belhus Park, where we serve a wide range of draught lager and real ales. We also stock a varied selection of bottled beers as well as wines, spirits and soft drinks. Your number one local all year round; come and cool down in our beer garden during the summer, or pull up a pew beside our cosy open fire alongside our chocolate Labrador, Reggie. We have live music each weekend details of which can be found on our Facebook page. There are also four large TV screens showing live coverage of all Premiership and Champions’ League games. If football isn't your sport, we also have a pool table and a dart board. Within the pub, is a recently refurbished Function Suite, catering for all types of private events and parties from birthdays, christenings and small intimate weddings to baby showers. The Function Room and large rear garden is available for hire seven days a week and is self-contained to provide the perfect setting and privacy for your event. Our venue is suitable for all get togethers, big and small. We have a large car park on site and disabled access is available.